Atlanta, GA, October 18, 2018: Shailesh Kothari, a/k/a Shue Kothari, the chief executive officer for Primera Medical Group, was arraigned on federal charges alleging healthcare fraud for submitting more than 4,500 fraudulent claims for allergy treatments. Co-defendant, Timothy McMenamin, the chief operating officer for Primera Medical Group, was also charged for his role in the scheme. According to U.S. Attorney Pak, the charges, and other information presented in court: Primera Medical Group, Inc., was a health clinic in Atlanta that focused its practice on preventative wellness, specifically corporate wellness, concierge care, and allergy testing. Kothari is a doctor of chiropractic medicine who was licensed to practice in Georgia since January 2009. Primera Medical Group hired market research companies across the U.S. to recruit patients to participate in allergy testing. Patients were told that there would be no out-of- pocket expenses and that their insurance would cover the costs, in addition to being paid $65 to $100 for participating in the test. A patient’s blood was purportedly drawn so that it could be sent to a laboratory for allergy and other testing, regardless of whether the patient had any allergy symptoms and without any determination of medical necessity for the testing. 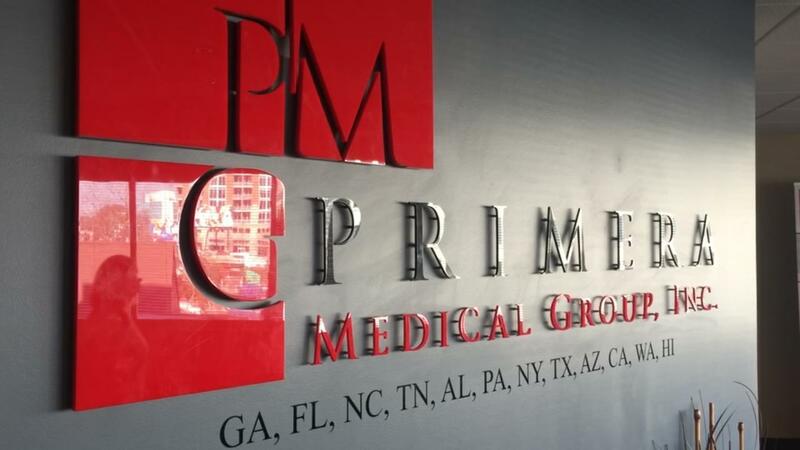 Primera Medical Group allegedly then billed the patient’s private insurer for multiple procedures, including blood tests, allergy immunology injections, or other laboratory tests. When billing private insurers, Primera Medical Group used the National Provider Identifier (NPI) numbers of multiple doctors, without their knowledge and without those doctors having performed the services. As of July 2016, Primera Medical Group billed insurers for hundreds of blood tests that were not completed. When an insurance company requested the medical records to support some of the billed services, Kothari allegedly asked McMenamin to create false laboratory reports to submit to the insurance company. McMenamin allegedly created the false laboratory reports, and those false reports were provided to the insurance company to support the fraudulent billing. Additionally, when a patient requested the results of a laboratory test that was not completed, McMenamin allegedly created false laboratory results for those patients. On multiple occasions, Kothari and McMenamin allegedly sent false laboratory reports directly to patients. Shailesh Kothari, a/k/a Shue Kothari, 45, of Atlanta, Georgia was arraigned before U.S. Magistrate Judge Alan J. Baverman on federal charges of conspiracy to commit healthcare fraud and aggravated identity theft. Kothari was charged in an information filed on October 12, 2018. Timothy McMenamin, 31, of Atlanta, Georgia was also charged with the same offenses in the same information. Members of the public are reminded that the information only contains charges. These defendants are presumed innocent of the charges and it will be the government’s burden to prove the defendants’ guilt beyond a reasonable doubt at trial. This case is being investigated by the Federal Bureau of Investigation. Assistance was also provided by the Special Investigations Unit for Blue Cross Blue Shield of Georgia.